I had made a reservation for 3 earlier in the day which was lucky because despite the fact that we were dining early (7pm) by 8 o’clock every table was occupied, on both floors! 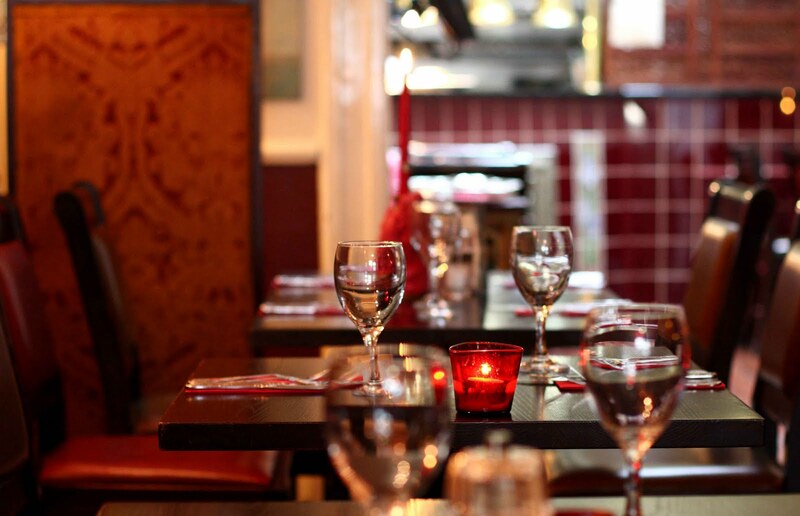 There were birthdays and ‘girls night outs’ and family get-togethers and of course couples and friends all pouring in to dine at Bray’s award winning restaurant (Best Restaurant in Bray 2009 & Lucinda O’Sullivan’s Great Places to Eat 2010). The service was attentive and the menu, although hard to read as a basic menu, was clearly labeled with Early Bird options (available all night), Dairy free, Gluten free & Vegetarian possibilities. 1. The waiter told us that the fish cakes were part of the early bird menu that day & seeing that they had a Dairy free option my sister and I both ordered them only to be told after sending our order to the kitchen that they couldn’t actually be made Dairy free. Probably just a typo on the menu. I always try to remember to never get my hopes up before the food arrives! Also, the early bird menu on the internet denotes the penne pasta to be Vegetarian and Gluten free possible but there seems to be a typo here as well (either on the web or the menu) because it is only listed as Vegetarian possible. Again, stressing the importance of telling your waiter about your food allergies because typos are a fact of life and you should never believe everything that you read! 2. The other hiccup was that we didn’t realize & were not advised that we should order side dishes. It was stated on the menu, but like I said, there was something peculiarly difficult to read about the menu. So, our meals were almost vegetable free which was a shame, but not a major deal. Among our Dairy free and Gluten free dinners was the Lamb Burger in a Modern Irish cuisine fashion which was quite tasty. It came as literally a burger with some red onion jam on top and a bowl of massive hand-cut potato chips. There was also a Confit of Duck Leg with roasted red peppers & papaya and a peach dressing. The duck was a bit over-done and the fruit could have been a bit more ripe as it had a bite to it but papaya is hard to get in Dublin. 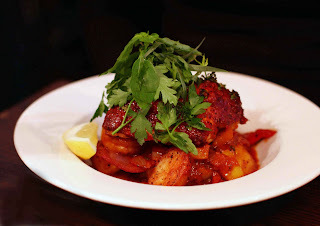 There was also a Pan-fried Breast of Chicken with a three bean cassoulet. The cassoulet was tasty but not amazing but the chicken was perfectly cooked and extremely moist and tender. We also had the Baked Ham & Chicken Terrine with a pumpkin & pineapple Compote which came without the garlic ciabatta despite the request for this dish only being Dairy free, but luckily there was a side order made of Shelby Fries which were deep fried potato cubes with garlic, thyme & onion. 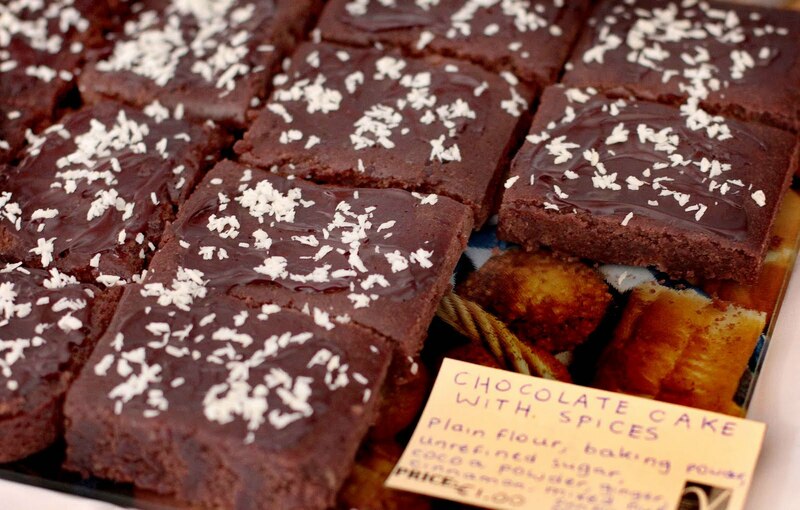 This was made without butter to suit our Dairy free needs. It was also reassuring that the waiter confirmed, of her own accord, that the fries were made without butter when serving them to the table. My summary of Shelby’s is that although I have had more amazing meals in my life, the food was higher on the quality scale than many restaurants I’ve been to and it was nice to know exactly what on the menu could be catered to our food allergies. It is also always great to get to eat in restaurant without any fear of crossed-wires with the kitchen or having to ask a million and one questions... Not to mention the added benefit of getting out of the city! I know 100% without a doubt that I am allergic to Cow’s Milk, and it’s not just the lactose. I’m also certain that I have a strong sensitivity to peanuts and possibly Tomatoes & Cumin and to a lesser degree Aubergine (Eggplant)& Red Wine. I try to limit my intake of Gluten and Wheat and I am trying to eliminate refined sugar and reduce my consumption of meat, eggs and any form of animal protein just for overall health reasons. I find that I feel better when I do these additional things but they are not essential. Why or how do I know this about my food allergies? My mom discovered my milk allergy as a baby. I had chronic ear infections. She thought that I had grown out of it after a few years because my reactions weren’t really ‘visible’ or typical but it became pretty obvious that the allergy was still relevant when we came to Ireland on a summer holiday and I threw up after drinking full fat milk! It seemed that I could handle light milk but after a few years of this we discovered that I hadn’t grown out of anything... in fact, I just didn’t know what I was supposed to feel like! So I went back off of milk and all of a sudden I could concentrate, my ear infections stopped, my grades went up, and I was far less hyper and ‘annoying’ as my sister would put it ;). My mom suspected other food allergies such as corn (I was/am also quite allergic to dust and horses). We went to a local allergy specialist in Thunder Bay (Canada), where I grew up and we got a skin test which was a bit mad. My whole arm seemed to be covered in itchy lumps. It was great for confirming my allergies to things like the dust and horses, and it also made me aware of a slight sensitivity to cats which I had sort of ignored but it wasn’t very helpful in determining my food allergies, so I stayed off milk, as before and watched my mom discover some crazy food allergies of her own. In general, and as long as I stayed off milk, I was a seemly healthy child. I did catch colds easily but I fought them off quickly enough too. Looking back now I see that I had an unnatural amount of canker sores (mouth ulcers), and an almost permanent low lying dull headache once I hit my teens. But I didn't really think too much about it, or even mention it much. However, in 2000, about two years after moving to Ireland, I began getting severe stomach cramps. The cramps would come and go but by 2007 they were following a lot of my daily meals and almost every meal I had away from home. I had been getting sick more and more frequently and it was getting worse. I now seemed to be catching absolutely every bug that was going and just after Christmas ’07 I came down with one of the worst fevers/flues I had had in my life. So basically I was at a personal all-time low with my health. All this prompted me to take a strange type of allergy test that my mom and aunt had done. This test combined a blood test with a machine test (which gave a number reading from your pulse, heart rate, temperature etc.. which represented how much nutrients you were absorbing from your food) and what seemed to be the testers own personal regime – maybe based on how foods react with each other?? Unfortunately I’m not very knowledgeable about the details and I don’t even know the name of the machine because I wasn’t as into the mechanics then as I am now! The test cost €100 and then €5 for every visit thereafter. I was told to eliminate about 41 foods and some things like relishes and soy sauce as well as limiting my intake of specific meats and bread. I stuck to the diet. It was very hard at first but I have a happy talent for working around things like this :D so it got easier in time. In addition to sticking to the diet, I also completely eliminated sugar which was a personal choice – I had been recommended to only have it in strict moderation. Anyway, things started to get good. I felt better than ever, except for the stomach cramps which persisted, albeit to a lesser degree. I lost almost a stone (14 pounds) in weight even though I wasn’t even trying – at all! – and I was eating more than I had ever eaten, and loads of that food was nuts and hummus and the likes! I had loads of energy, didn’t get sick even once. My skin was looking great and most importantly I was feeling great! I didn’t go back as often as I was supposed to (due to logistics) but I did return after 5 months (which was a shockingly long time! But I stuck with the diet the entire time). My ‘nutrient absorption’ as I call it, had previously been at a shockingly low ‘2’ (it’s supposed to be in the high 20s or 30s) which explained a lot of my illnesses but after the five months it was at 42!! I was so pleased. Then the tester started to reintroduce foods. I won’t go into the details but despite the fact that things were going well (except for the stomach cramps) for some reason I stopped following the diet. That’s right, I stopped. I am still furious with myself for having done this because I HATE quitting anything. Why oh WHY did I ever give up the first time? • Because I find it hard when the re-introduction of foods come into play. I’m a bit ‘all or nothing’ by nature and ‘re-introduction with moderation’ is the hardest part for me. So I threw the regime aside and watched myself go back to feeling a bit blah all over again. I also believe that sugar has a lot to do with all of this. I have figured out that my stomach cramps had a lot (but not everything) to due with drinking liquids with my food and not chewing enough. But after a while of sliding back to exactly where I had been a year ago I wanted to know what my ACTUAL food allergies were... SO, I got a big fancy blood test. It cost €320 and showed me the levels of my sensitivities and if you read my And the Results Are... post about a year ago you saw my list of 32 sensitivities and a further 15 borderline sensitivities (ironically more food to avoid than before – Served me right!). I stuck to this diet really hard. I even avoided the extra 15 border line sensitivities. I did this and all to no benefit. I gained back the rest of the weight I had originally lost (fluid fluid fluid!!!) plus a couple of pounds - luckily my body shape hides it moderately well. My skin was at an all-time low for months with spots replacing spots. 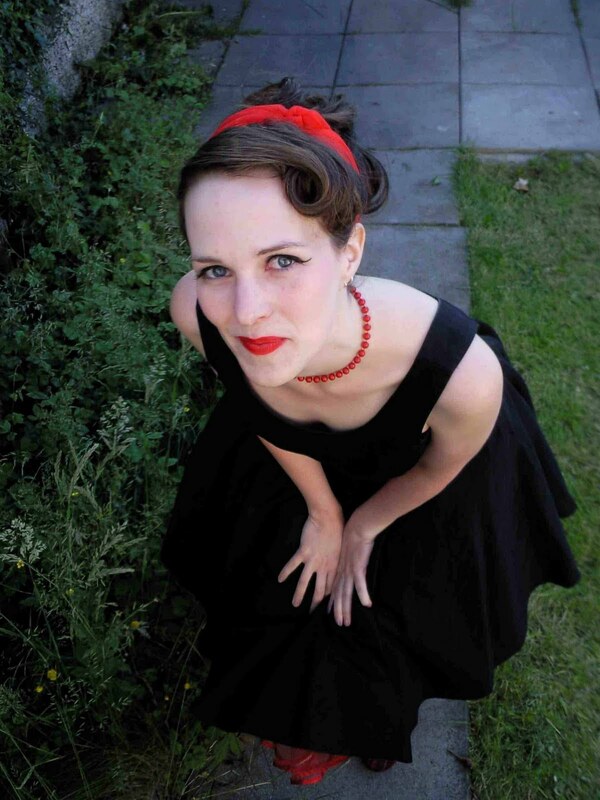 My mood was yo-yoing, I suffered through more cold sores since I started the diet than I had had my whole life put together –seriously!– and the most frustrating thing was fluid retention. Previously I had only ever suffered from fluid retention if I got milk. Since I went off of all these new foods I had fluid retention issues every single day varying from bad to worse! PLEASE note: that this was just my experience! I know people who have done the very same test and have got amazing results and their lives have been completely turned around, they feel and they look Great! Needless to say I was COMPLETELY confused... I tried to give it time to settle down like they recommend but after months of this I finally gave up. Sometimes I wonder if I got somebody else’s results by mistake!? The truth of the matter is that my gut is misbehaving and needs to heal itself. I began working on this and in the meantime reverted back to the allergy list that I once recklessly abandoned. 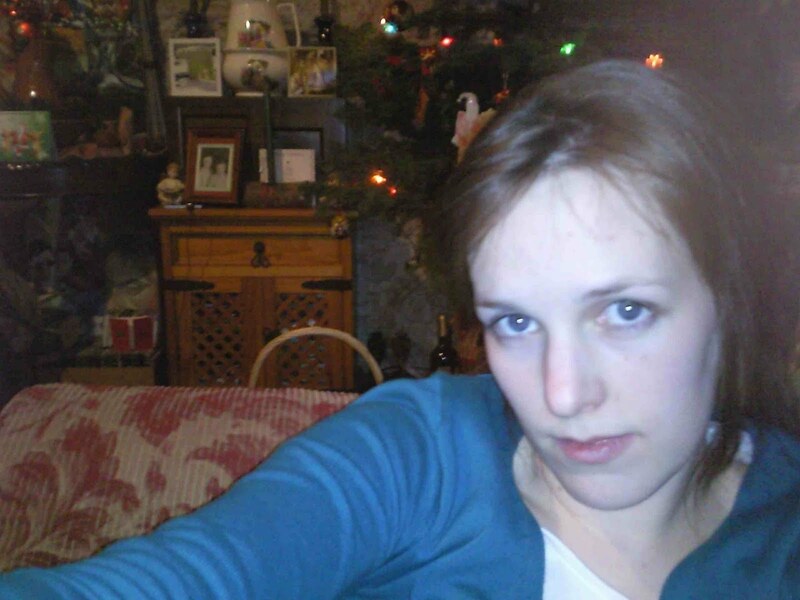 Within weeks I looked notably healthier and my skin started to clear up. Sometimes I think that it’s helpful to just hear somebody else’s struggles. I believe that it is SO important to be Honest and Open with everybody because without that we will never learn or discover that we’re not alone. 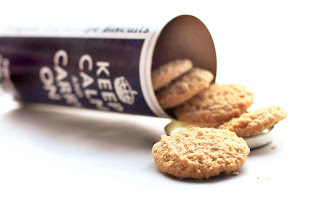 Food allergies can be EXTREMELY difficult to get a hold on! They can cause frustration, there can be relapses and often times it can get worse before it gets better... The hard part can be knowing when it’s working for you and when it’s not. It has been a bumpy journey for me but I discovered that I can be cured... now it’s just a matter of getting back to that place! And please, please, please, if it’s working for you DON’T STOP! It’s SO COMPLETELY not worth it... take it from me! I want to do some interviews with people who have multiple food allergies or even just one or two allergies. I’m also interested in people who follow lifestyle diets like veganism. These interviews will focus on reactions, frustrations, choices, relapses, favourite foods, etc. because I think it’s important for people to share their experiences with honesty as well as to hear about other people’s journeys. I would like to share true representations of life with food allergies, to help inspire others and also to help them live life to the full while maintaining their diets – and that is exactly what Survival Guide is supposed to be about! I’d also just love to hear your thoughts and opinions (always!) even if you don’t want to take part in the interviews! And if you read this far I wish you an extra wonderful weekend! Before I even get started I want to shout out from the rooftops that almost ALL MARGARINES contain MILK! 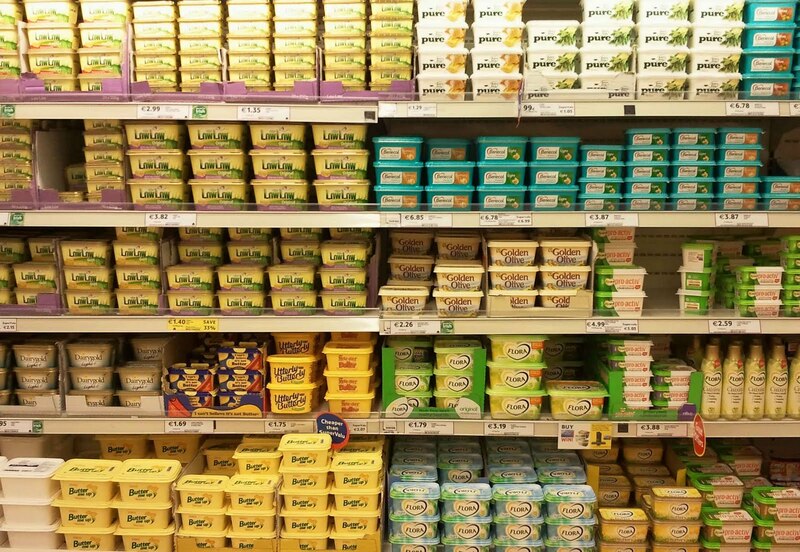 It never ceases to scare me when I hear about all the people in the world who think that margarine is Dairy free by default. I do understand why people think this: it’s supposed to be made with vegetable oils instead of milk but the fact is that most margarines contain buttermilk or some other form of dairy product, for flavour and/or consistency I assume? Whatever the reason, it’s in there so watch out! ...and I will say it again and again: Please Please Please READ THE INGREDIENTS of everything you buy/eat! Even if you think that the food in question is safe because you will often be surprised, I know that I am! (i.e. - Rice Dream cheese slices contain casein which is milk protein. That was a big shocker for me when one day, years ago, my sister said that I was behaving like I had ‘got milk’ so she searched though everything I had eaten that day. It was also quite a shock for a vegan family I once informed). This also leads me to prompt you to thoroughly question the people who prepare your food because they just might not know what they think they know...but do it with delicacy because it is a sticky situation as I’m sure you will agree. Pure’s Sunflower spread is the best in my humble opinion. 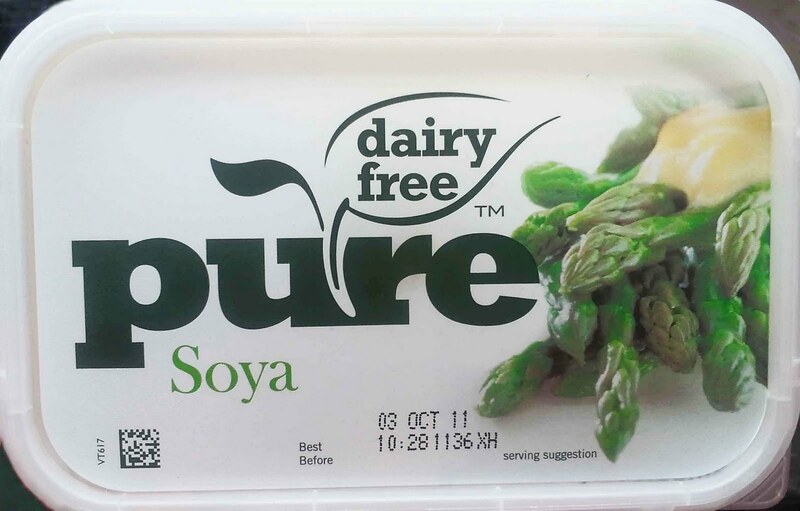 I am delighted that Pure Dairy Free expanded their butter substitute range to include soy free Sunflower (also available is Pure Olive and Pure Soya). 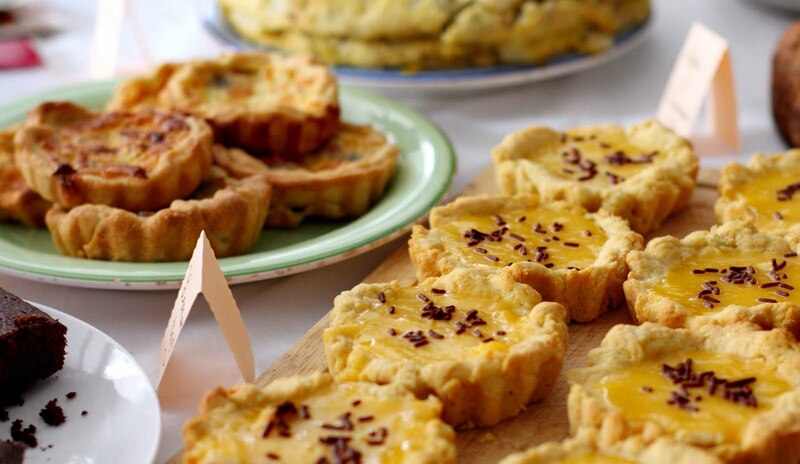 Pure Sunflower is great for spreading, baking and cooking. It is the most food allergy friendly spread of its quality on the market. It is also the only Spread from the Pure range which is soya free. I get my Pure Sunflower spread in larger Tesco stores for €1.29 but I’ve seen it available in Down to Earth on Georges St as well. 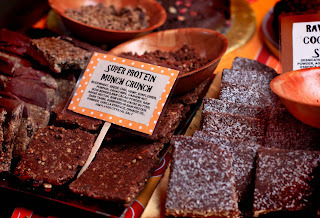 Do check out Pure’s website too: www.puredairyfree.co.uk because there is a very tasty looking recipe library which has many free from recipes catering to dairy free, gluten free, vegetarian, vegan and egg free diets which will help you get through the tub rather quickly no doubt! A good spread in taste, texture and price (Tesco carries Pure Soya at the bargain price of €0.99 a tub). 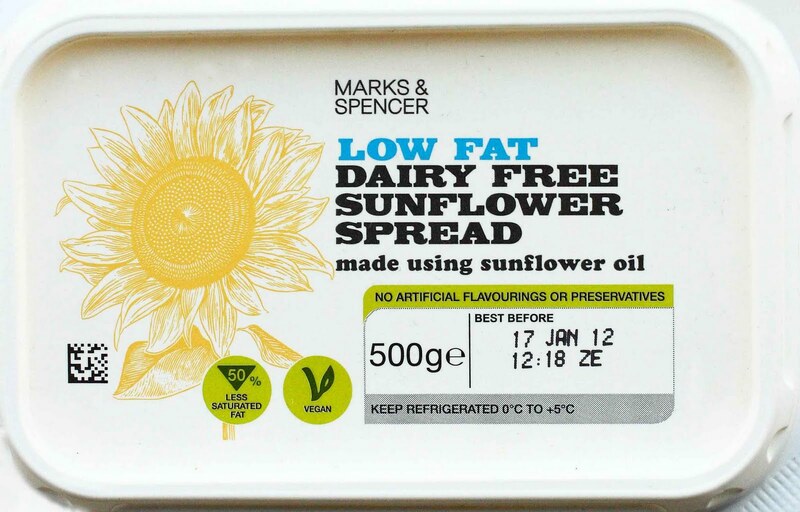 My family used to use this spread as our favourite staple until the Pure Sunflower came on the market. The biggest downfall with Pure Soya is the soya. Personally I like to limit the intake of soya in my diet but more importantly, soy is one of the Top 10 food allergens, so I like to support anything non-soy for this reason. 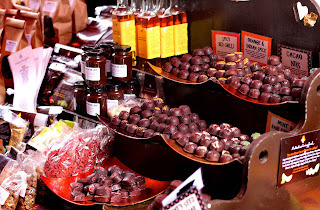 But of course, if you don’t mind it’s a quality spread and very affordable. Ingredients: Soya Oil (45%), Water, Vegetable Oils, Salt (0.75%), ‘Natural Flavouring, Vitamin E, Vitamin A, Colour (Natural Carotenes), Vitamin D2, Vitamin B12. 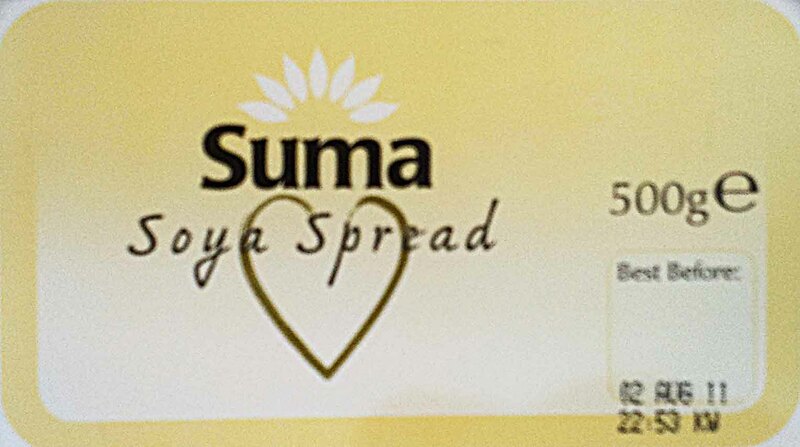 Suma Soya Spread is made by a worker’s co-operative which is great. In their own words that means: '[all of the] day-to-day work is carried out by self-managing teams of employees who are all paid the same wage, and who all enjoy an equal voice and an equal stake in the success of the business'. I love this. If I wasn’t concerned about my soya intake I would definitely be supporting Suma for the co-operative reason alone. It is also really great to have a spread which is guaranteed to be free from nuts, peanuts and sesame (the website states this). You can usually find Suma in The Hopsack, Nourish,Down to Earth and and it is generally priced at around €2.60. Biona products are quite popular and their margarines are in no way an exception to this rule. usually available in Down to Earth on Georges St and The Dublin Food Co-op. Prices are approx. €3.50-€3.80. The Olive Extra Spread is good for spreading only (as the name implies). It is not suitable for frying as it just returns to oil and defeats the purpose. I have also read suggestions to put your olive oil in the fridge to transform it into a spreadable texture but I think that I would rather drizzle my oil or use Biona’s version, but that’s just me. 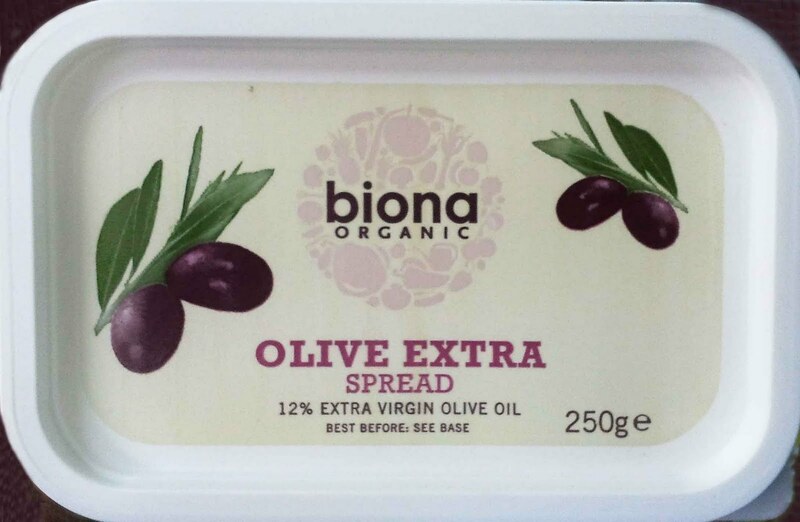 Free from many common food allergens makes Biona’s Olive Oil spread popular as well as it having the smaller tub size because if you are just spreading it might be hard to get through the larger quantity. Biona’s main selling point is that almost every health food store stocks it so it is one of the easiest to find. Definitely available in The Dublin Food Co-op (in both small and large tub sizes), The Hopsack, Down to Earth and I think Nourish too for about €3.80 or so. The consistency is fine, although a bit harder than some of the others and personally I find the flavour a bit lacking - but that's just personally! It’s good for cooking/baking but the biggest downfall of this margarine is that it contains soya and coconut which are not the most allergy friendly foods and therefore excludes some users. But I do appreciate Biona’s limited ingredient list because as you know, I love a short, snappy, readable ingredient list! 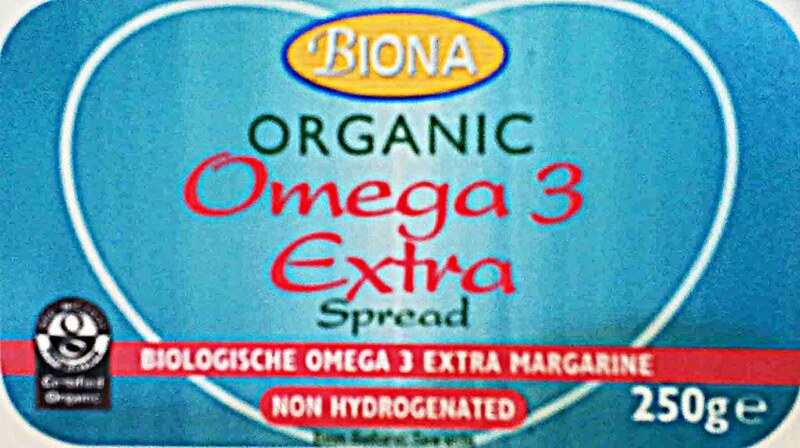 Omega 3 Extra is Biona’s healthier option.Its not available everywhere but Nourish on Wicklow St usually stock it. The price is a bit steaper than some of the other dairy free options at about €3.99 for 250g but I suppose walnut oil and acaia fibre doesn’t come cheap. Sometimes I wonder how much omega 3 etc. I could be ingesting from margarine when I use so little of it but since I have been eating less animal protein every bite has become more important! 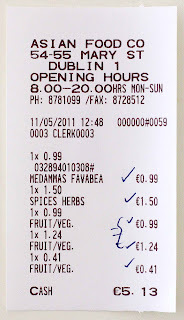 The best bit about Omega 3 Extra is that it is soya free and coconut free, unlike Biona’s Sunflower Vegetable Margarine. It’s not as readily available but I have seen it in a handful of shops and seeing as Biona products are available in just about every health food store I have no doubt that it could be specially ordered for you in your local should you not be able to find it elsewhere. I haven’t seen too much of Vitalite in Dublin yet but it is available in some of the larger grocery stores (this one was found in Portlaoise). Vitalite is made by Dairy Crest which is a UK dairy producer so their dairy free margarine is very progressive! I would also think that it is liable to become more popular in time as Dairy Crest is a large manufacturer. It is free from a lot of the common food allergens (including soya, corn and coconut) which makes it a suitable alternative for people with multiple food allergies. Ingredients: Vegetable Oils (of which sunflower oil 22%), Water, Salt (1.5%); Emulsifiers – E471, Sunflower Lecithin; Preservative – Potassium Sorbate; Lactic Acid; B Vitamins (Niacin, B6, B2, Folic Acid & B12); Flavourings; Colours – Annatto, Curcumin. It’s creamy, it’s smooth, it doesn’t have some of the ‘usual suspect’ substitute flavours and it even seems to melt a tiny bit better if you pop some into your boiling pot of pasta while its cooking and best of all, it’s not expensive! At less than €2 it is a true rival to Pure. Vegetable Shortening is generally dairy free (but always check the ingredients!) and is great for pastries and the likes. It’s also super affordable. My mom has done more deluxe allergy friendly baking than I have in the past and claims that half and half DF margarine & vegetable shortening has not been hugely beneficial to her but if you want to try it out there are a few food allergy friendly shortenings to choose from. 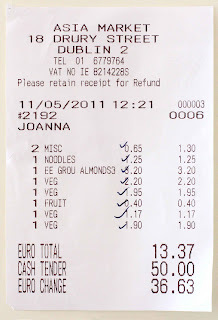 Some Vegetarian and Vegan shortenings are Stork - €0.69, Cookeen - €0.87, or Dunnes Stores own brand Margarine - €0.58. Some non-vegetarian Dairy free options are Frytex - €0.86c or Dunnes Stores own brand Cooking Fat - €0.66. I am of course open to contradiction so please share your thoughts and any other butter substitites that you might hold dear to your hearts! And if you have had loads of success on this or indeed any topic, please do share your experiences especially if you have yum recipes which are particularly suitable for one dairy free margarine over another! Happy allergy-free baking, cooking & spreading in the meantime! My dairy free family members have been indulging recently in the best way possible – in cheap, dairy free and yum-town good strudels! Extra exciting is the naturally Egg free attributes of some of said strudels! 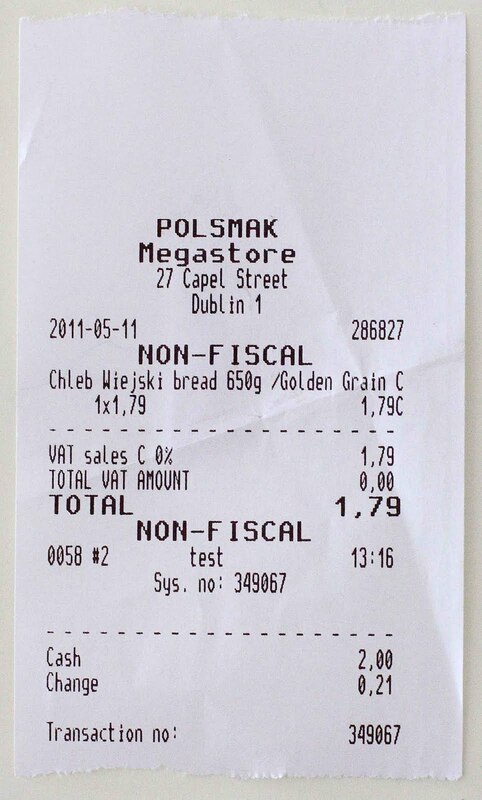 There are at least three strudels on the market which fit this bill. They are all naturally dairy free and quite similar to each other but Lidl’s steal of a strudel has been voted the best in my extensive survey of three ;) The bad news is that my local Lidl stores have been out of stock for a few months now and cannot guarantee their return (but I don’t know if this goes for all Lidl stores or just my local branches). The good news is that the Aldi and Tesco versions are good too and have the same bargain basement pricing! At €1.29 I don’t think that anyone can complain about value for money! They can all be found in the frozen dessert sections of their respective stores and bake up in about 40-45 minutes from frozen. Cut a generous slice and top it off with your favourite dairy free ice cream (ours is Swedish Glace Vanilla - pictured above) and I swear that nobody will even know that they are feasting on a dairy free dessert! Lidl: €1.29 and voted as the best in my family. Sadly out of stock for the time being so the full ingredients and nutritional information are temporarily unavailable… Sorry! Aldi: €1.29 and standing at a tie with Tesco for second place. The strudel & ice cream in the title photograph is Aldi's 'Heavenly Desserts Continental Strudel' (pictured above in it's packaging). Note: Aldi also make a plum and custard strudel but that one is NOT dairy free. Ingredients: Apple (43%), Wheat Flour, Vegetable Margarine, Water, Sugar, Sultanas (3%), Modified Potato Starch, Breadcrumbs, Cinnamon, Salt, Acidity Regulator (Citric Acid), Glucose Syrup, Thickeners (Sodium Alginate, Calcium Alginate), Vegetable Fat, Flavouring. 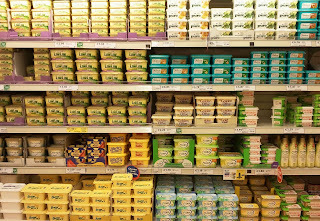 Vegetable Margarine contains Vegetable Fat, Vegetable Oil, Water, Colour (Beta-Carotene), Emulsifier (Mono- and Di-Glycerides of Fatty Acids), Flavouring, Acidity Regulator (Cirtic Acid), Salt. Have you ever tried any of these strudels before? If not give them a go and let us know what you think! Today’s post is a bit different. 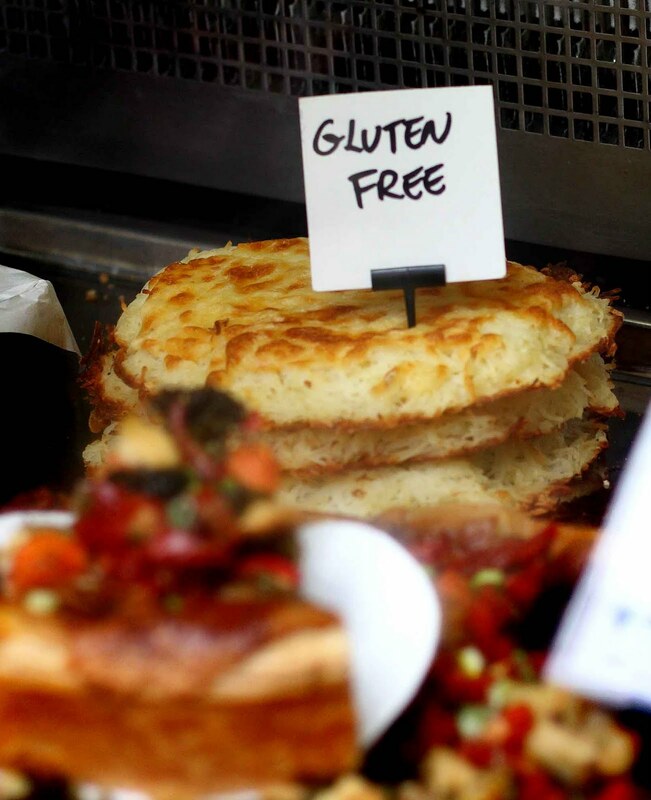 It’s about ‘Food Allergy Lifestyle’. I've wanted to expand Survival Guide: Dublin with Food Allergies for a while now to include a 3rd weekly post dedicated to discussing ‘Life’ with food allergies. By this I mean groceries, allergy tests, living with allergies on a day-to-day basis, recipes and experiences, or anything that might fall under this category – I’m totally open to suggestions too as I always love to hear from you! So I will launch my first official ‘Food Allergy Lifestyle’ post today: ‘Budget Groceries with Food Allergies’ which is a topic that is of increasing interest to me. Possibly due to the recession, possibly due to the sky-rocketing prices of allergy friendly foods, or perhaps just to teach myself a lesson and practice self-restraint. Whatever, the reason I am on a mission to live within a stricter budget without giving up my quality of life/food. I was inspired by a post in wholesomecook.blogspot.com titled Frugal Feeding your Family of 4 for <€56 per week that appeared in anygivenfood’s Sunday blogroll a couple of weeks ago. After reading this post I was annoyed at the amount of money I spend every week on food alone. I have long wanted to scale back a bit on my weekly bill. 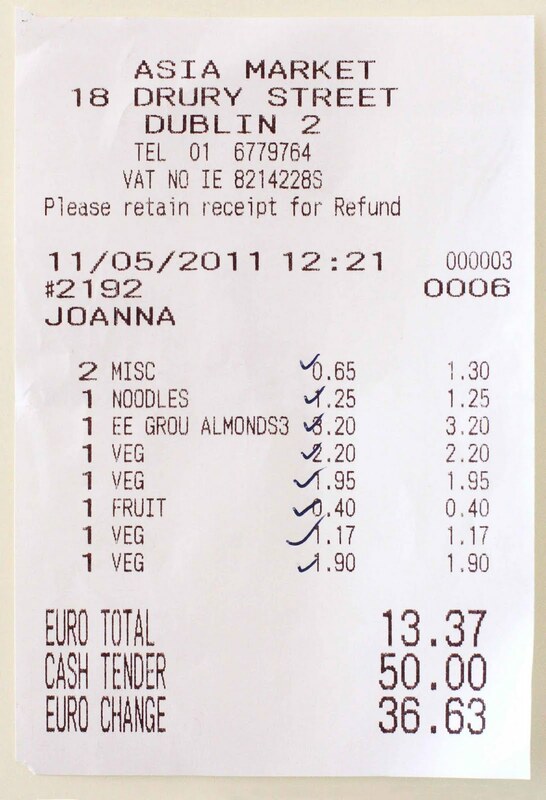 There was a time when I regularly spent between €80-100 on my food bill (for just me). I have scaled this back a bit but instead of continuing to reduce it, it seems to be creeping up again. I am presently spending about €70 on food each week which feeds just me and an additional couple of dinners and snacks for F when he’s about on the weekend. The time has at last come to change my ways in earnest. I don’t believe that I should have to pay two and three times the amount of money to eat both healthy and tasty food just because I have food allergies. I don’t like supporting shops which have 40% mark ups from the RRP (or any % markups for that matter) just because something is Dairy free or Gluten free or Vegan. I especially don’t think that quality fresh fruit and vegetables should cost the world. 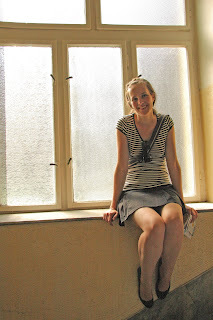 For me, living food allergy free is not a luxury. It is a necessity and I don’t believe that the prices of this necessity should be reflecting a luxury lifestyle as is so often the case in Ireland. First: I decided to start making proper shopping lists (harder to do than I had imagined) so I would only buy what I need. - help me with any ideas or bargains you might know of! On a side note, just to make it more fun for myself I added a little challenge. I rang my mom and told her what was on my shopping list. She possesses a curious talent for adding up the price of what a list of groceries will cost. She is not very savvy herself but has years of experience with the weekly shopping. The challenge was to beat her prediction. 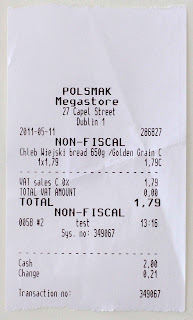 Mom’s prediction was €66.00 (she said that if she could see the food in front of her she could probably guess it within 30c –note: Mom lives in co. Laois. The outcome: €64.23 a.k.a. Failure because I didn’t even get two things on the list (fresh beetroot & vegan margarine) & I made a couple last minute changes to keep the bill down –not exactly fair to the challenge but I didn’t want to lose sight of the forest through the trees! I did make two obvious mistakes. I definitely could have got my hemp oil for cheaper at The Hopsack in Rathmines and I found out too late that Dunnes Stores carry Manuka honey for significantly less money so I will have to try out some of their brands when I run out. Please share any thoughts, experiences or tips you have! 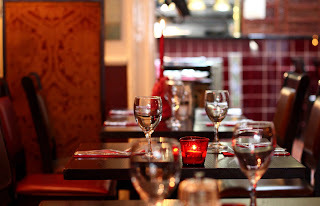 The Millstone restaurant is a beautiful two level restaurant located in the heart of Dublin city on Dame St (Dublin 2). The restaurant is traditionally decorated like so many old-fashioned restaurants on the continent and has a warm and cozy feel which is encouraged with live music every night of the week. The music we had last night (Sunday) was classical guitar with female vocals singing songs like ‘The Girl From Ipanema’ and a soft version of ‘Sing, Sing, Sing’. Our dinner party consisted of myself and my food allergies, my sister who is dairy free and avoids gluten and my father who is allergy free – someone in our family had to be lucky! Gluten free options are a lovely thing but an especially dedicated Gluten Free menu is quite an amazingly lovely thing! And yes, that is just what the Millstone offers. The other lovely thing is that the menu says right on the top of the 1st page that if you have food allergies to let the staff know - I like this. 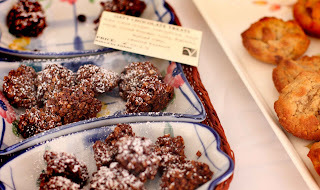 So, we easily worked around our dairy intolerances and picked dishes that suited my other multiple issues. And also, desserts like Homemade Apple Flan on a gluten free sponge or homemade Bailey’s Crème Brulée! -obviously not dairy free on either account but still impressive. There are also pizzas made with a homemade gluten free pizza dough. 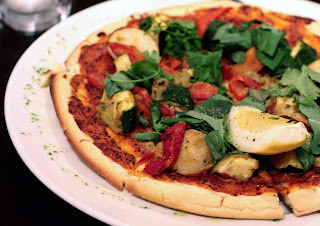 I had the Thai Curry Pizza with the Thai Vegetable option which was alright depending on how long it had been since you had a normal pizza. I of course had this without cheese due to my allergy to cow’s milk (but I really like cheese-less pizzas, even if I had the option!). The pizza base didn’t really wow me as it was fairly dense and you could definitely taste the baking powder but my sister had the Gluten Free Chicken & Prawn Piri-Piri which wowed the socks off her! Also, as an additional note, my Dad had a steak which came with a massive juicy mushroom and thick soft onions. He gets steak almost everywhere he goes - too long in Canada I imagine ;) - but my sister and I can vouch with our hands on our hearts that The Millstone steak was the TASTIEST looking steak we have ever seen. And on top of that, it was also the thickest steak that we have even seen in Ireland! - and remember, he gets steak everywhere so we’ve seen our fair share of steaks! 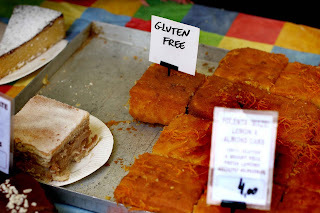 I noticed a couple food allergy friendly foods last Saturday when I was cutting through Cow’s Lane in search of Vitamin C to counteract my unfortunate milk mistake... so if you’re dairy free, egg free, gluten free, raw, vegan or sugar free today’s post is about some food allergy finds in the Temple Bar Food Market. 1. Why is the Temple Bar Food Market scattered about Temple Bar and sharing space with the Cow’s Lane Fashion & Design market instead of being nestled away in its regular Meeting House square location? If anybody tries them out this weekend (past, present or future weekends too!) Please share with the rest of us – I am sometimes limited to ogling due to my own multiple food allergies but I would love to know if looks were deceiving or solid gold or even just 9karat! 2. 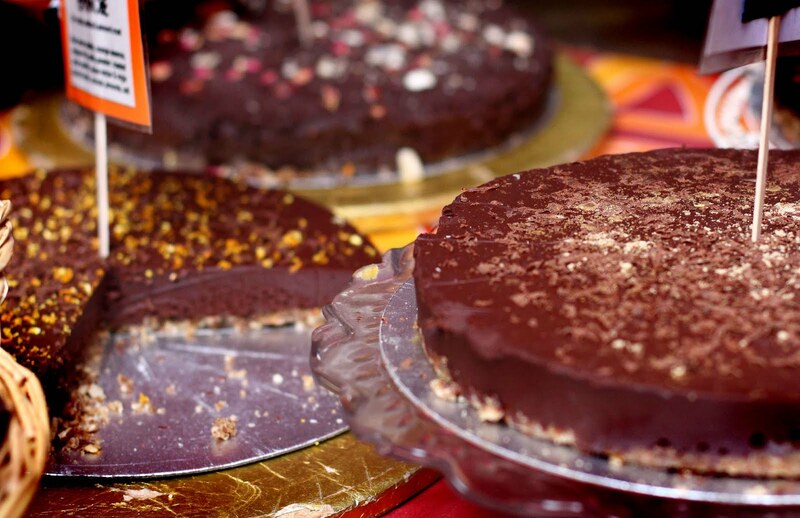 Raw foods just happen to be very food allergy friendly! On Saturday I skipped into town to explore the Vegan Bake Sale in the Dublin Exchange (Dublin’s contribution to the Worldwide Vegan Bake Sale 2011). I knew that the venue was on the smaller side so the sale wouldn’t be massive but I was surprised at the 3 tables which totalled the sale. Dublin needs more Vegans!! 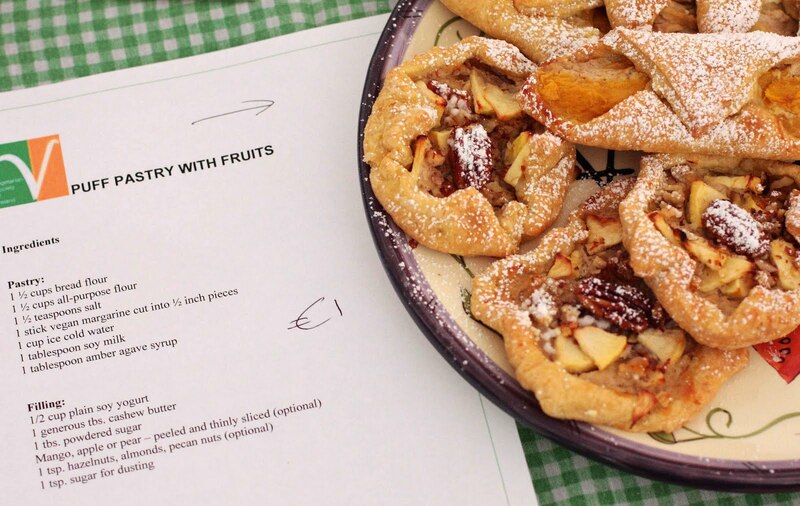 Despite this surprise there were still plenty of very yummy things on offer at VERY affordable prices - Like a moist slice of Chocolate Banana Bread for 50c or a delicious puff pastry with fruits for €1! 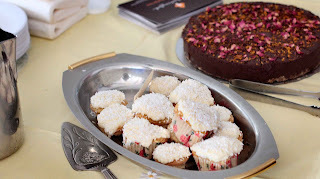 There were cakes, brownies, cookies, chocolate squares, coconut buns and I know not what else. So yes, despite the seemingly small venue on Saturday this beggar certainly had the luxury of being a chooser too! There were comfy couches to sit in while you enjoyed your eat-in baked goods and sipped your tea or coffee which was cooled down with rice milk. On the whole there was a good vibe at the sale which was heightened by the regular Saturday market in Cow’s lane which spills over to the Exchange’s front door. The Dublin Exchange is a collective arts venue so there was an exhibition in the side room and the bake sale area was shared with what seemed to be a ?weekly? arts and craft sale. One of the tables which were part of the arts & craft element was also selling baked goods. 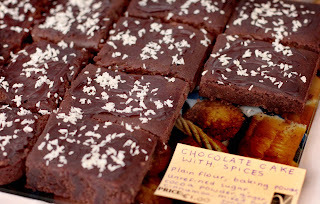 What I didn’t know (and dread to think of how many other people didn’t know) was that these baked goods had nothing to do with the vegan bake sale, were not vegan, and had no sign stating as much. In retrospect I should have been more suspicious because I had noticed that the signs which labeled the food at this table didn’t sport the Vegetarian Society logo and there were no ingredient lists like at the other three tables. 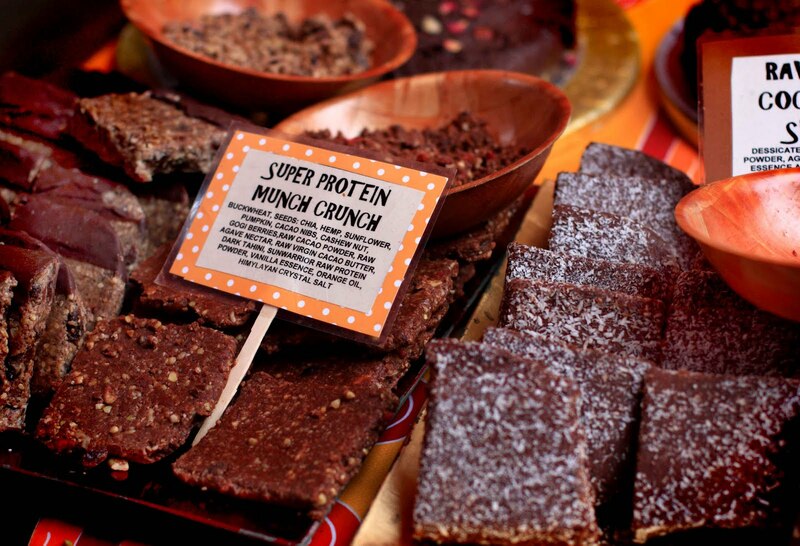 But then again, it was a ‘vegan bake sale’ so I lured myself into a false sense of security. Mixed with this security and possibly hope (the mind is SO strong...and so weak) I opted for their lemon tart... which tasted truly amazing. I read somewhere just last week that old and valuable saying: ‘if it seems too good to be true it probably isn’t as it seems’. I hate having to take that attitude and having to be so distrustful of people but truer words have seldom been spoken. I was already beginning to feel my ears clogging up and was becoming slightly curious as to what set it off. I was really savouring my tart and marveling at the consistency and taste… still not putting two and two together until a friend came up grinning about the vegan quiche he just bought which contained egg, cream and bacon! My face dropped as I looked down at my half eaten tart which was bought at the same table. He said that when the girl beside him heard this she asked for her money back. But don’t let this little story dishearten you or make you angry. The moral of it all is meant to remind you once again that you should NEVER get comfortable in the lap of luxury because it just might stand up (I’m full of proverbs today!-that one is one of my father’s favourites). NEVER assume. ALWAYS ask... 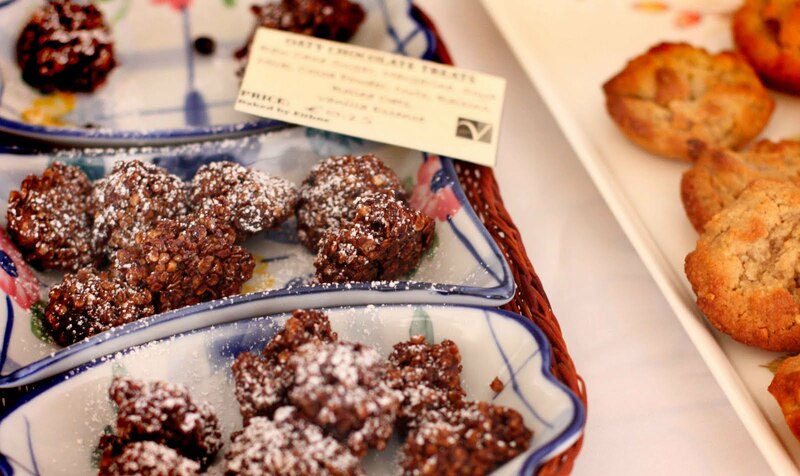 EVEN at a vegan bake sale! After all of this my ears proceeded to get worse and I was afraid of the rest of the side-effects getting a grip on me so I ran off to a healthfood store and bought some chewable vitamin C and dosed myself pretty heavily to counteract the invasion. This being Monday I think that I’m in the clear. I’m still dealing with some extra congestion and a lack of energy and some slightly sore muscles but on the whole I’m just really happy that I caught it so early and got off so lightly this time! But I don’t want to end on such a negative note! I want to tell you that the puff pastry with fruits was truly scrumptious! I thought that it was a great idea to have the recipes on display because it would encourage people to try a vegan lifestyle if they were new to the concept and give hope to anybody starting out on a dairy free or egg free diet. Also, I should say that I was extra thankful for the baked goods on sale that were vegan because I am in the middle of Campbell’s ‘The China Study’ which is a must read for anybody who cares about their health. I am seriously considering an X on all animal protein. There is nothing to encourage you to give up even more foods than amazingly tasty dairy free, egg free and meat free baked goods-a-plenty! I will probably never become a true vegan but I sense that my world, as I know it is changing. 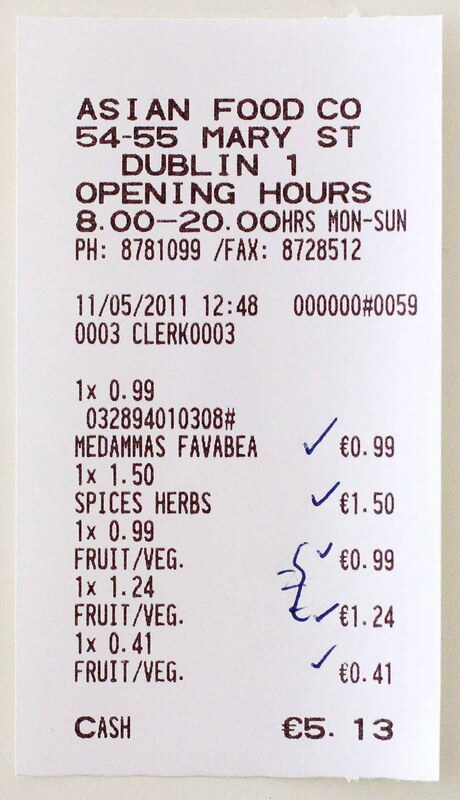 Once I get my ‘extra’ food allergies under check I will be looking at my diet with a very stern disposition –I just hope that F doesn’t gloat too much!